Albion midfielder Richie Towell has returned to Rotherham on a season-long loan. The 27-year-old scored six goals in 45 matches when on loan to the Millers last season as they were promoted from League One through the play-offs. 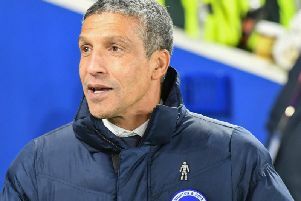 Brighton manager Chris Hughton said: “This loan move is another good opportunity for Richie to go out and play regularly in a highly-competitive Championship division. “He had a very successful time with Rotherham last season, and this gives him an opportunity to return to a club he knows well.